Hello there! I'm back for another Papertrey Ink Design Team Tips post! I'm a huge fan of patterned paper, but sometimes it's not available in the pattern or color I'd like to use. 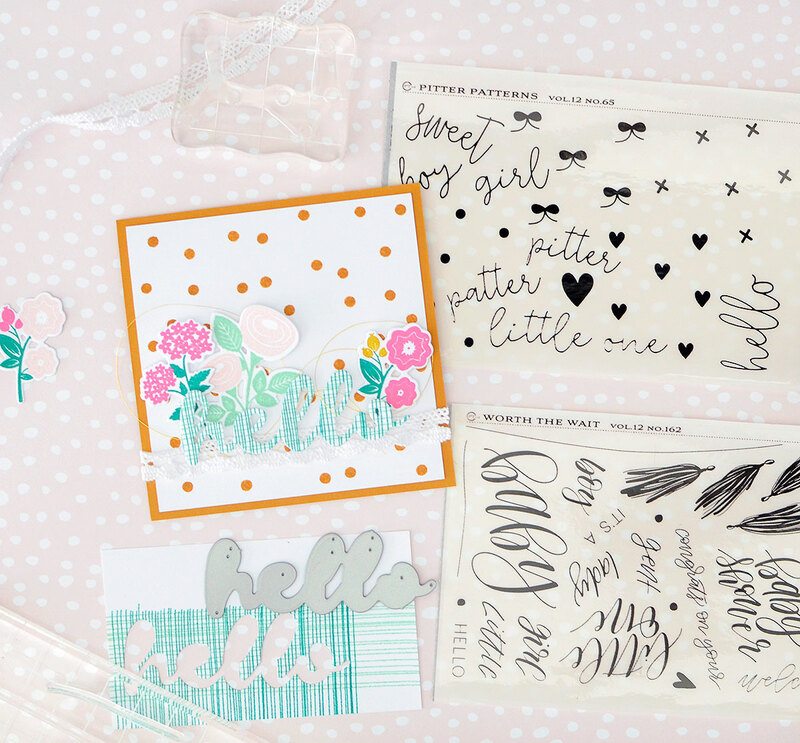 When that's the case, I'll create my own, making backgrounds with different stamps instead. That's what I'm doing for today's DT Tips, but the stamps I chose just might surprise you! Keep reading for a look at some unconventional backgrounds stamping. 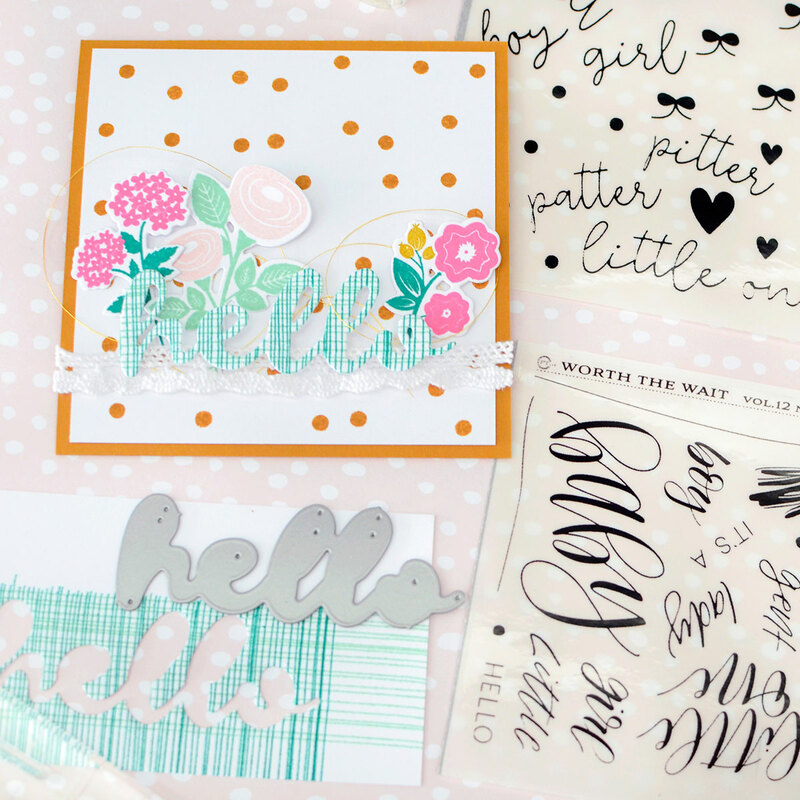 You can use almost any stamp to create a background or patterned paper. Really! For instance, in the stamp set Worth the Wait, there are 2 thin lines that serve as strings for hanging tassels. One line is long and slightly curved, while the other is short and straight. 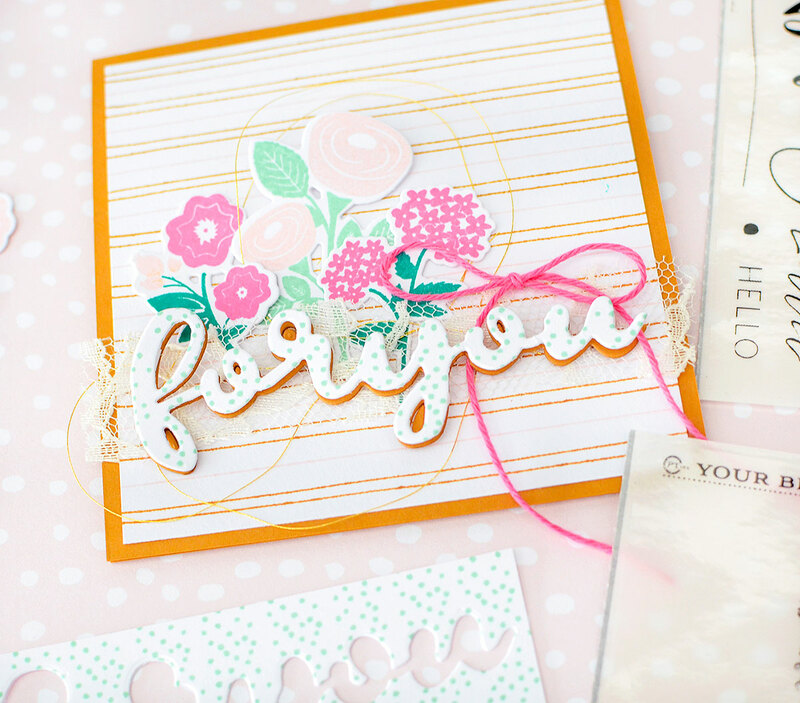 I took the long line and straightened it to create a striped background on my "for you" card. I stamped an alternating pattern down a piece of 4" x 4" white cardstock. 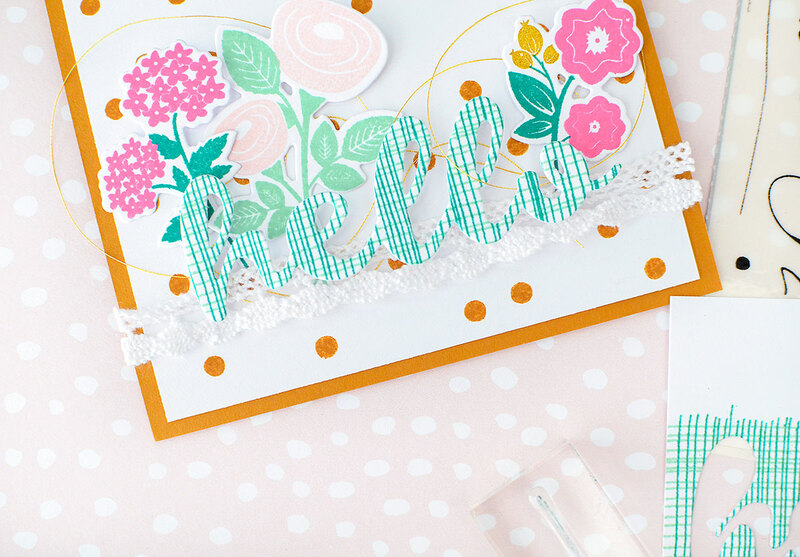 There are 2 close lines in Honey Nut ink, then a single line of Sweet Blush, and so on. 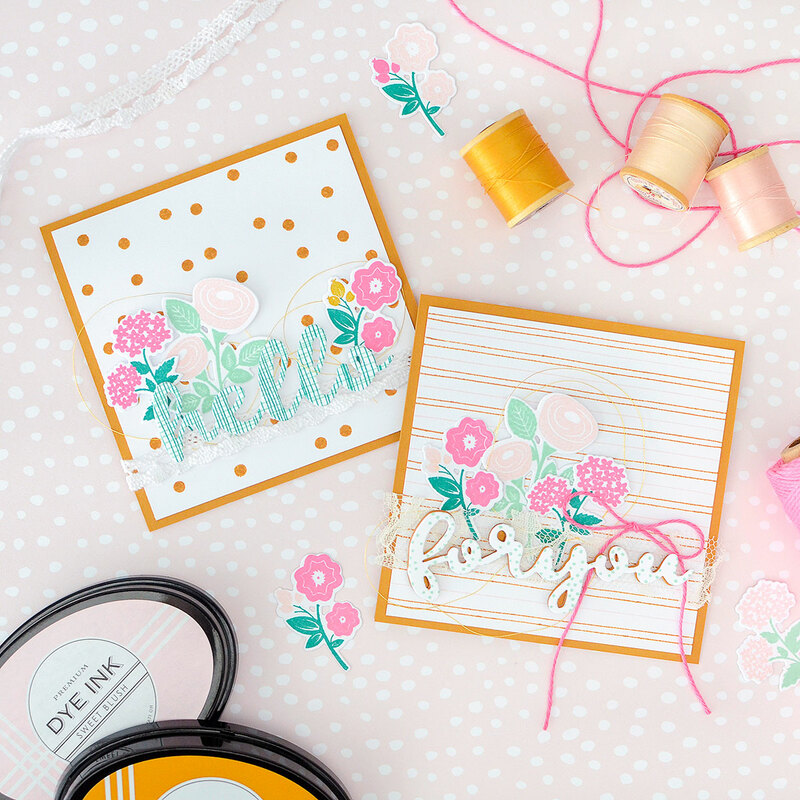 Stripes are classic for pattern making, but if you don't happen to have the exact type of striped stamp or patterned paper, rifle through your stash to see what you can use to make your own. 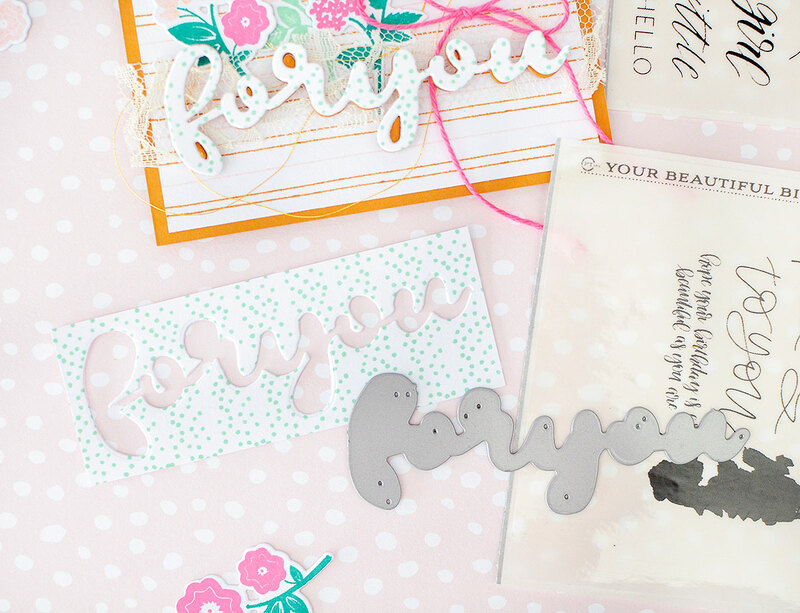 To get the dotty pattern of the "for you" die cut on the same card, I repeatedly stamped the layer of polka dot cake from Your Beautiful Birthday in Aqua Mist, then die cut my sentiment. 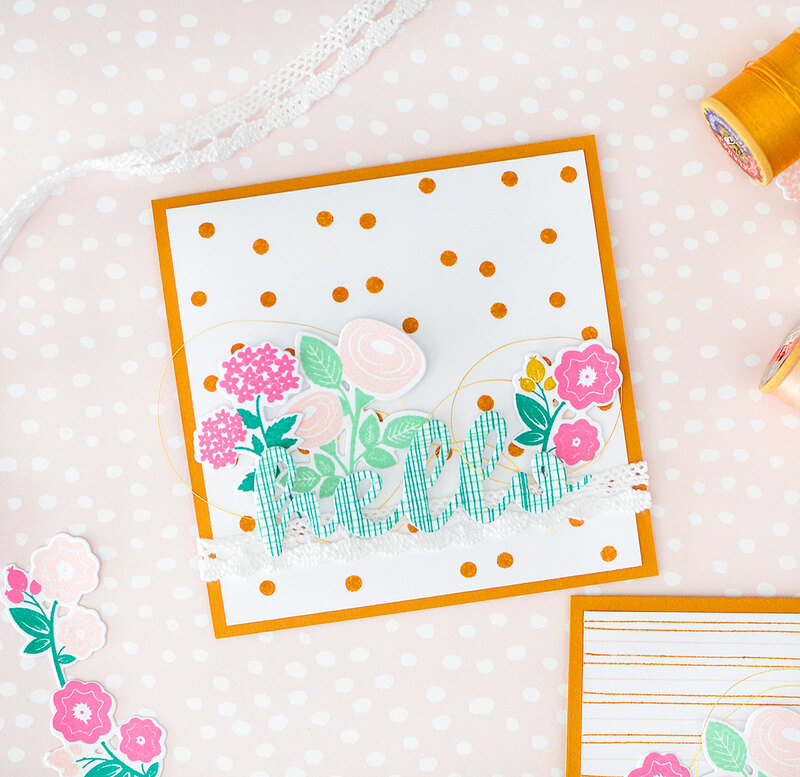 I love the way the patterns turned out, and now I have the perfect color matches for the stamped florals I added to the card. 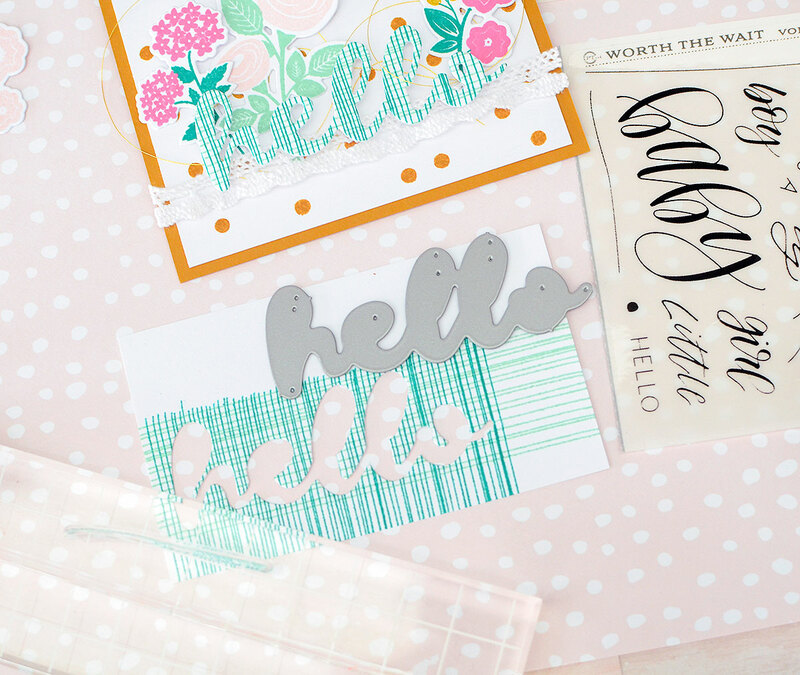 On the "hello" card, I used the same line stamps from Worth the Wait, but instead of stripes, I made a crosshatch pattern. By stamping the long line horizontally over and over and close together, and the shorter line vertically in the same manner, I was able to make this awesome design! The horizontal lines are stamped in Aqua Mist, while the vertical lines are done in Tropical Teal. Admittedly, that's a lot of inking up and stamping, but I didn't mind a bit upon seeing the outcome--I love it! Also, I only made a small batch of that paper, just large enough to die cut "hello". The background of this card is also stamped, using the dot stamp from my own Pitter Patterns set. I always had this in mind with the patterns in that set, so this is maybe not as unconventional as the other stamps I've used today, but just in case you didn't know those were fun for pattern making, now you do! Using Honey Nut ink, I stamped the dots all over a 4" x 4" white cardstock panel, then matted it to a 4 1/4" square Honey Nut folded card base. 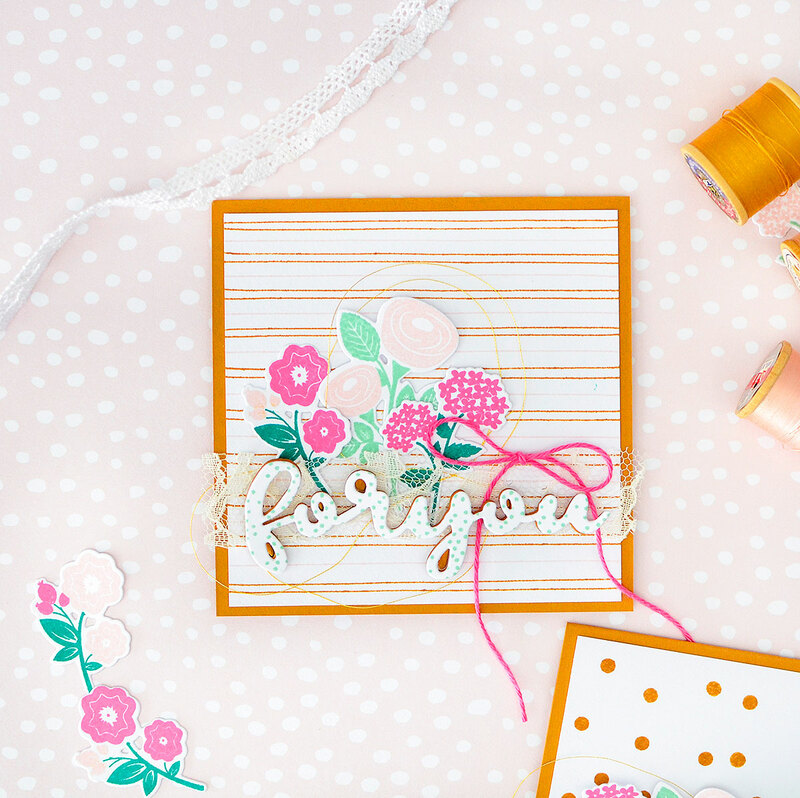 You can use any other images and embellishments you'd like; for uniformity, I chose to add Bitty Bouquets florals to both cards, plus a bit of fabric trim, and some gold thread. 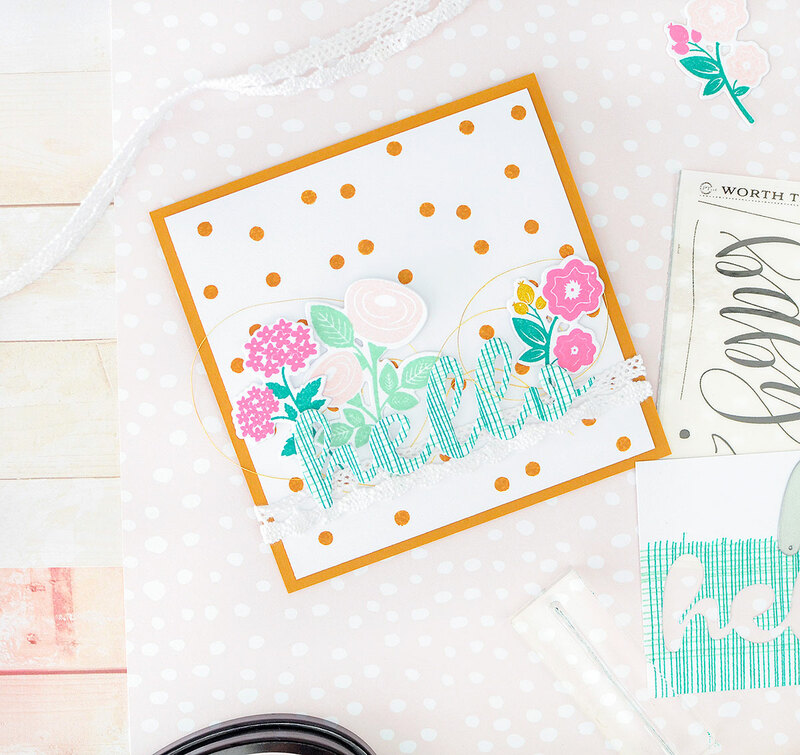 I'm sure you have lots of stamps you never knew had the potential and versatility to make fabulous backgrounds or patterned paper. It's easy to look at a floral and know it will create a beautiful pattern, but you might not look at a stamp destined to be part of a tassel garland and see the potential for a striped background, let alone a crosshatch. Perhaps now you'll look at your stamps a bit differently...you never know what designs you may unearth! Love the patterns you created, and the creative ideas. I enjoy using my stamps in unconventional ways, too. Thanks for your inspiration! Clever use of stamps! Especially with the die cut sentiments. Great backgrounds! Love the color combinations. I so enjoy your posts. Super fun cards! I love to make patterns and I love your cutout words using them. Thank you for sharing!! 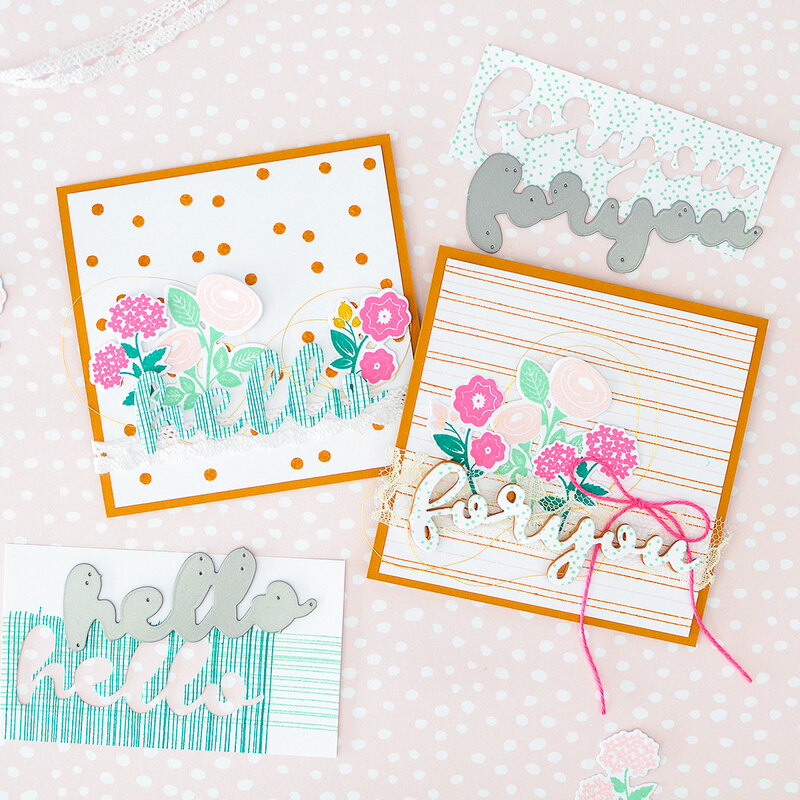 Darling cards and very clever way to stretch our stamps...and our minds! Oh, you have inspired many fun ideas this morning! Thanks! Fabulous cards, colours and patterns, made me think more outside the box, thank you! Hi Rebecca. 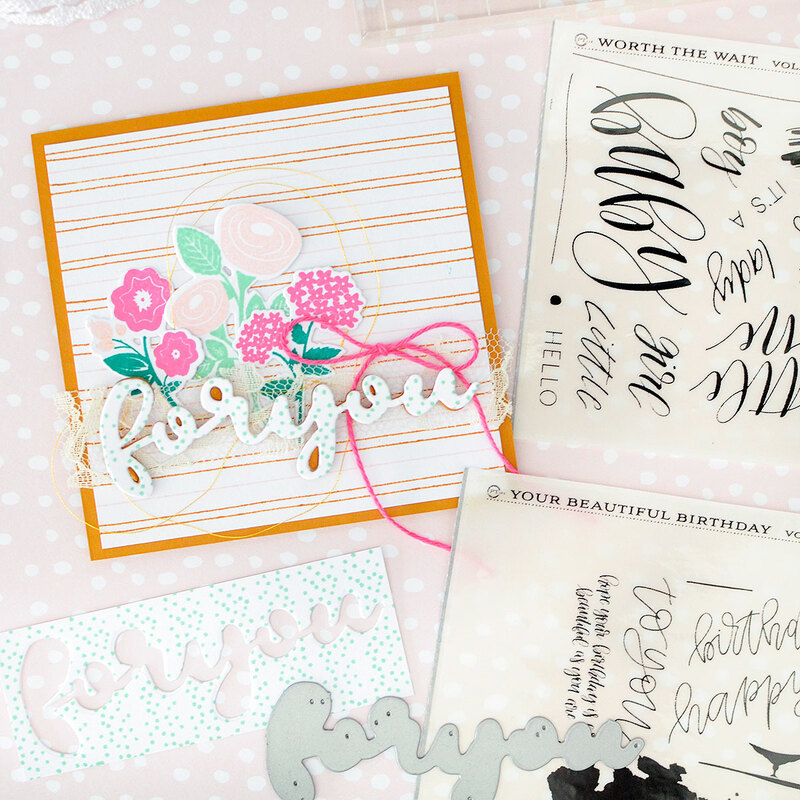 I do get in that rut of not looking at my stamps, in a different way than originally intended. I love your crosshatch pattern, awesome! You have inspired me Rebecca, thank you for a beautiful post! Beautiful patterns and colors! Thx for sharing! I've used line stamps to make a pattern, but would never have thought to use the polka dot cake image--love it! The crosshatch pattern is fabulous--gotta try that!